The City Council approved the development of a pilot program this week, that could reduce the number of parking citations issued for street sweeping by informing residents via a text or online tool when sweepers have finished cleaning a street. The pilot program still needs to be fully developed and does not have a direct source of funding for its estimated cost of $573,316, but the motion approved Wednesday with a 14-0 vote directs various city departments to report back on the progress of the development of the pilot and to identify possible funding. The program would be implemented in Woodland Hills and West Los Angeles before potentially ex­pand­ing to the entire city if successful. The idea came from a report issued by the Los Angeles Parking Reform Working Group, which was formed by Mayor Eric Garcetti in 2014 and included residents, business owners and representatives of different organizations. One of the group's recommendations was to reduce the overall number of citations issued for street cleaning violations by better using technology. 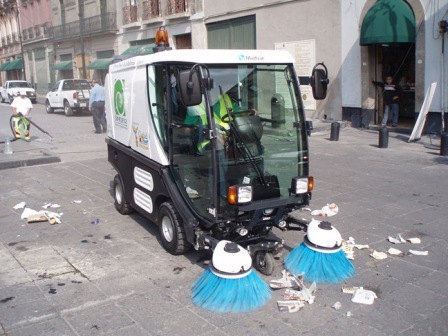 In 2015, the City Council approved a motion to direct departments to incorporate GPS tracking on all street sweeping vehicles, and the program would allow people to be better informed through an online tool when sweepers are done on a street, making it safe to park there. If the program were to go citywide, Los Angeles could lose between $4.5 million and $11.8 million in parking citation revenue, although the estimate will be refined following an analysis of the revenue impact upon completion of the pilot program, the city staff report said.